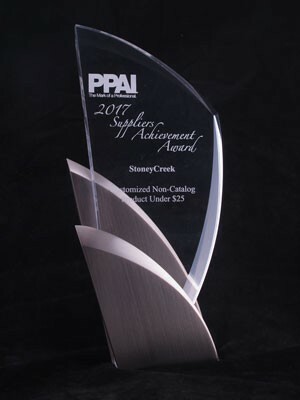 For the twelfth straight year StoneyCreek received an A+ rating from SAGE which is voted on by distributors who use their services. 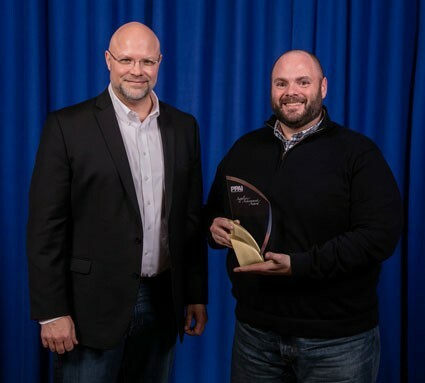 SAGE provides the leading product research and order management services in the industry, with thousands of distributors using their services on a daily basis to perform product and supplier research. 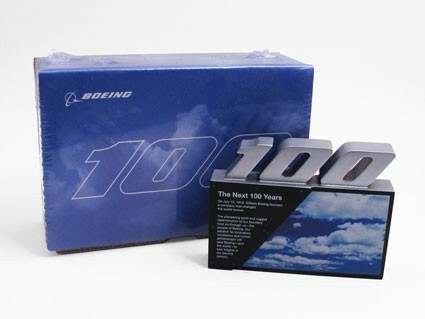 The Boeing Company celebrated 100 Years of Business in 2016. StoneyCreek partnered with an industry distributor to replicate a sign located at their headquarters. Custom designed-packaging was created to go along with the commemorative. StoneyCreek workforce swelled from 30 to 100 employees for 6 months to produce over 166,500 pieces. The order was individually dropped shipped to every Boeing employee and subsidiary in over 50 countries. This was one of the largest promotional product orders ever for Boeing Stores. 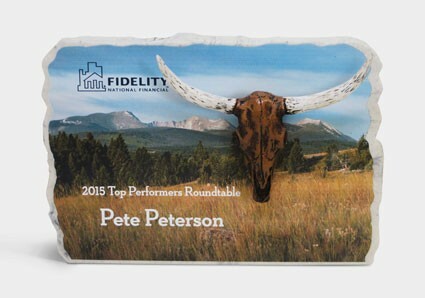 This destination-themed design captured the essence of a Montana Ranch that was hosting the company event. The entire award was made in cast stone including a full-color UV print on the backer and a hand-painted skull. The upright was chiseled to complement the mountain image. 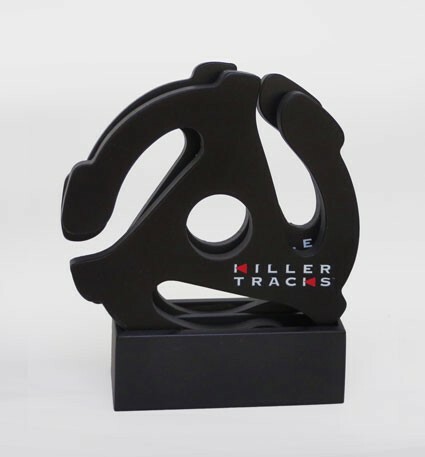 The Killer Tracks custom coaster set was designed to reward top customers with a gift inspired by the music industry, the classic 45-record adapter. The gift was designed to incorporate uniqueness along with the utility of a coaster. The concept was so well received the customer ordered more pieces. 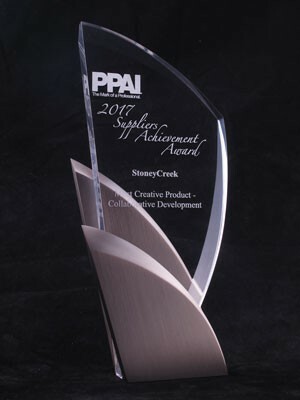 StoneyCreek was awarded the highest honor given for Most Creative Product of 2013 at the 2014 PPAI Expo in Las Vegas. 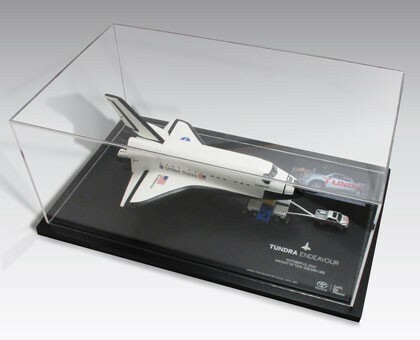 The Supplier Achievement Award was given for the elaborate "to scale" model of a Toyota Tundra towing the Endeavour Space Shuttle. 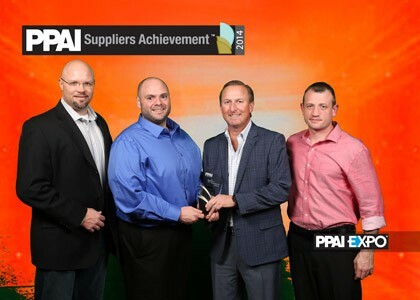 Representatives from StoneyCreek and C and S Sales accepted the Supplier/Distributor Collaborative Award on January 15th at The PPAI Creative Excellence Award Banquet. 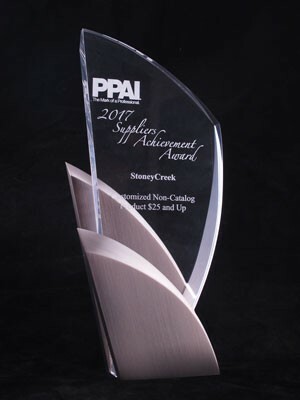 StoneyCreek appreciates this distinction from PPAI and appreciates the sponsors who donate their time, products and awards. We are introducing our new StoneyCreek logo and tagline. With our wide variety of material colors, metallic coatings and color fill choices, it is easy to say we can "Color Your Recognition". From new coasters and paperweights, to new awards and plaques, throughout our entire catalog you will continue to see the word "NEW". We have expanded our Elite Stone colors now offering an elite version for every color family. Check out pages 44-45 to see all 95 choices for each product! All catalog quantity orders now have a standard lead-time of 10-15 working days, knocking off an entire week from our previous standard lead-time. Nearly all the products in our catalog are now offered with your choice of an etch with 1 color fill or a full-color UV print, all the same price. We have also simplified all of our awards and plaques to one set-up charge. We now offer full-color UV printing. This 4-color printing process uses ultra violet light to cure ink immediately and permanently. Unlike etch & color fill, UV Printing allows for gradients and multiple colors without additional charges. A fresh new look to our website also includes our expanded product line, updated searching methods, sales tools, and much, much more. Check it out at www.StoneyCreekUS.com. 2012-07-01 - Be sure to check out the July 2012 issue of Advantages - Made in the USA Supplement magazine. It features an editorial on StoneyCreek! Read up on us if you are an Advantages subscriber. Or go to www.StoneyCreekUS.com and download the article. 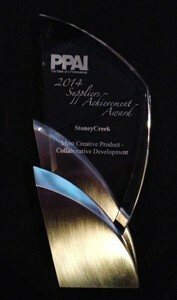 2012-06-30 - We are proud to announce that StoneyCreek has won the Gold Prize from PPAI EXPO for Supplier Achievement in the category of custom character creation!